Pure Phase Ensemble are an international music collective created especially for the SpaceFest! Festival in Poland. Made up of 12 musicians from Poland and UK. They release a Live at SpaceFest! album each year, recorded with a special guest. Previous guests have included Laetitia Sadier and Mark Gardener. This year they were joined by Anton Newcombe. Intro starts with keyboards through a Tremolo pedal, much like Spacemen 3, and some vague background noodling. Some tentative strumming comes in towards the end. This is the band finding their feet. Things become more focussed on Sorry Not Sorry as, after an exploratory opening section, the whole band come in and make a lovely racket, all distorted drone. The track also has a vocal from Anton Newcombe. 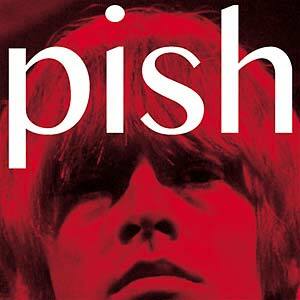 The sound is somewhere between The Brian Jonestown Massacre and The Telescopes. The tremolo keyboard returns again to start Popol Vuh. There is a more spacey intro to this 10 minute epic, with phased keyboards. With great patience, the Ensemble build up the atmosphere for three minutes before settling into something more akin to the Grateful Dead or Quicksilver Messenger Service. A meandering keyboard line moves it more towards Country Joe & the Fish. Balwan has two keyboards gently shifting pitches and pulses. A Motorik drum beat starts and is joined by a Holger Czukay bass line and the whole band comes in, really hammering two chords. With vocals from several band members it is simultaneously the most focussed song here whilst also bringing to mind the organised chaos of Amon Duul II. A splendid Lou Reed-like guitar line splits through the middle of the whole glorious mess. Electronic beats start Tetno Pulsu, the Spacemen 3 keyboard is still going but soon fades into the background. Another two note riff takes shape. The vocal on this is more like Damo Suzuki. But the song doesn’t take off like the other tracks on this album. God Drugs opens ominously with huge distorted notes and thankfully they deliver once again with a distorted, droney riff. It’s wonderful stuff. After this the one minute Warming Up is just a frantic, noise interlude before the final Getting Bored. It starts with another Klaus Dinger beat put again it takes the quiet order of Neu! and makes it more ragged and frantic. It’s an explosive finish to a fine album. Live at SpaceFest! is a Psychedelic SpaceFeast. It stops off at many key points in the history of Psychedelic Music, from San Francisco in 1967 to Cologne in 1972 to Rugby in 1987 and on towards the modern day Psychedelia. This is also more together than Jam Rock, this is Psychedelic Drone Rock at its most off-the-cuff and exhilarating. I look forward to next year’s release. Lots of interesting name checking there Sean. I’m a big BJM fan, and I’ll be giving this a workout on the weekend.